I hope you will love these flower cushions from first glance, as I did. They are intriguing, adorable in pink, elegant in solid hues, funny and eye-cathing in a rainbow color set. You can easily highlight sofa or bed with this decor. The pattern is easy and you can make it from any yarn you want. It will be a marvellous way to use some yarn ends! For more free designs every day follow us on Facebook. The Link to the pattern is below. 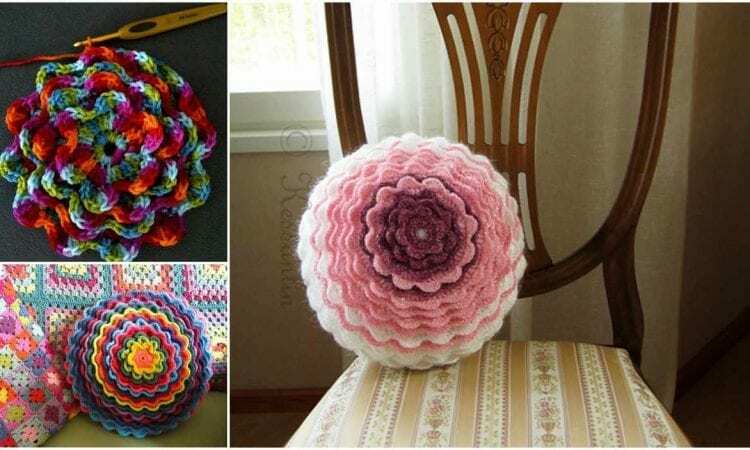 Blooming Flower Cushion – visit the free pattern site. You may visit here, here, here and here to see more details about hook and yarn.